Smoking chicken is a tasty and superior way to cook a chicken breast without added oil or fat. The process of smoking can take a while as it is not done through the application of direct heat. However, the results of a good smoked chicken breast are a flavorful, sultry meat that makes it well worth the wait. 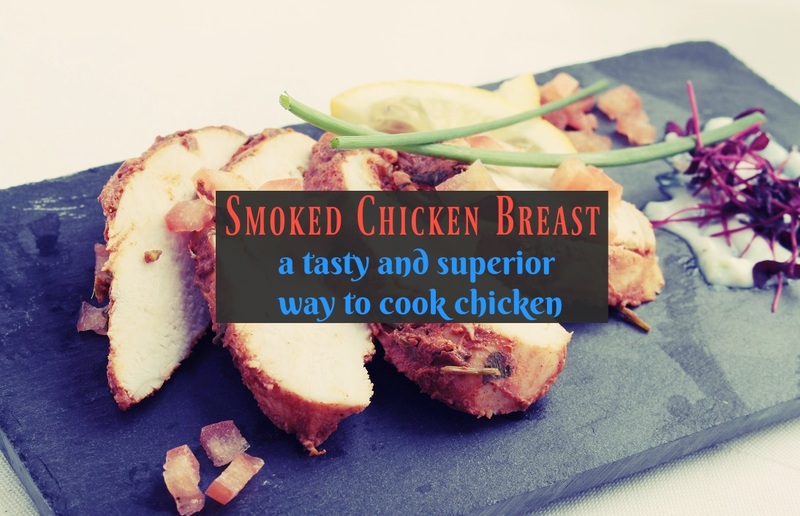 Typically smoking temperatures range from 225 to 250 degrees Fahrenheit and can take chicken breast anywhere from two to three hours to smoke depending on the thickness. Chicken breast can easily get dried out during cooking so it is important to take the necessary steps to ensure moisture during the smoking process. Regardless of what kind of smoker you pick, before you get started with the smoking process, choosing the right wood chips and preparing them properly is an essential step. You can get different wood types that will affect the flavor of your chicken in different ways. Apple and cherry wood will provide you with mild flavors that are sweet and fruity. Pecan wood is somewhat the mild version of the well-known hickory flavor. Hickory wood will give your chicken a strong but sweet flavor that will include heavy tones of bacon flavor. Ideally, you want your wood chips to smoke for hours without burning away. Soaking your wood chips in water for a minimum of an hour will help to keep them smoking throughout the process. The simplest apparatus to smoke chicken is just a plain kettle charcoal grill. It is best to invest in a chimney starter which will allow you to burn charcoal without lighter fluid, and is great for when you need to burn more charcoal at a time for extended cooking. There are two types of charcoal you will want on hand. First, hardwood charcoal that provides a strong, clean heat that tends to burn out quickly, and second, briquettes that provide a more medium heat that stays steady over a long period of time. Allow the charcoal to burn until there is a layer of white-gray ash and it is no longer emitting flames. Add your drained wood chips on top of the charcoal. It is perfectly acceptable to add the chips directly on top of the charcoal, however a smoker box is an option as well. Once the wood chips start smoking you can move the pile of charcoal to one side to allow space for the chicken to cook over indirect heat. You would place your chicken opposite of the pile. Throughout cooking, about every hour you will need to add charcoal to keep the temperature steady and wood chips as the pile burns. A water smoker is another charcoal option for smoking chicken. It has three separate compartments, one for the charcoal and wood, one for water, and one for the meat. The benefit of a water smoker is the control over temperature and the added moisture. In general, the water provides moisture that makes it easier to keep the temperature steady and from rising too much. Adding cool water to the water chamber can bring temperatures down if they get too hot giving you easy regulation power. The water chamber provides a barrier between the heat source and chicken creating a great low heat cook. It will also help the chicken maintain some moisture that can be lost during the smoking process. The process is the same as for the charcoal kettle with an exception for the added temperature control feature. Gas grills are appreciated as an easy grill method and can be a fairly easy smoke method as well. For smoking on a gas grill, a smoke box is necessary. You can purchase one or wrap your wood chips in aluminum foil and poke holes for air to travel through. If you decide to make your own smoker box the best thing to do is to place it in a corner, turn the burners to their highest setting and then once the wood starts smoking, turn the burners down. The one downside to making your own smoke box is you will not be able to add more chips throughout the cooking process. An electric smoker is the most effortless approach to smoke chicken as it does not require constant supervision of temperature or wood chip levels. In an electric smoker the wood chips will typically go under the heat source area. The recommended ratio is four cups of chips to five hours of smoking. Electric water smokers exist as well which add that extra layer of moisture. The benefits of an electric smoker are being able to set a temperature that the smoker regulates instead of you. It has a more set and leave appeal to it. It is almost impossible to base chicken readiness on cooking time alone. You will absolutely need a thermometer to know when your chicken is done. Of course, you can expect boneless chicken to take less time to smoke than chicken breasts with the bone. Chicken is done at 165 degrees Fahrenheit, and the thermometer should be placed in the thickest part of the chicken for temperature checks. Since the chicken will continue to cook for a time after removing it from the smoker, it is best to pull it out at 160 degrees Fahrenheit. There are a couple ways you can prepare and smoke your chicken to keep it moist and juicy. For one you can create a brine. A brine is a mixture of high contents of salt, water, sugar and any other flavorings you want your chicken to soak in. Chicken breasts should be soaked for one to two hours and can soak for as little as 30 minutes if you are pressed for time. 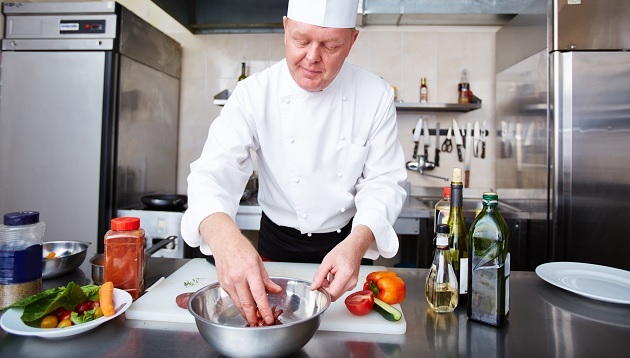 It is important to keep your chicken brine in the refrigerator at temperatures lower than 40 degrees Fahrenheit. Another option is a rub which is exactly what it sounds like. A mix of seasonings that you rub onto your chicken and is best to get in all the nooks and crannies. Let the chicken sit with the rub for a few hours to let the salt work its moisture magic. If you are going with a rub for flavor, add a glaze for moisture. Throughout cooking apply the glaze every hour to continue adding moisture to the chicken. You want to wait to start applying the glaze until at least halfway through the cooking process to ensure it doesn’t burn. If you have a good plan for accompanying flavors try a brine and a dry rub or even all three. A simple brine and a good rub will keep your chicken flavorful and juicy. Hickory, apple, bourbon just sounds right. For this recipe you are going to want to use hickory wood chips or apple wood is a good substitute. Leave yourself six hours of room for prep, brine and smoke time. This is for about four pounds of chicken or eight (8oz) chicken breasts. The addition of 8 more cups of ice water will bring your mixture down in temperature in preparation for adding the chicken. Add your chicken once the mixture has reached room temperature and soak for two hours in the refrigerator. ​Optional rub: a chipotle rub will kick the taste up a notch. Keep the rub simple by mixing 5 tsp chipotle powder, 1.5 tsp black pepper, 3 tsp onion powder, 1.5 tsp garlic powder. Leave the rub on the chicken for about 30 minutes in the refrigerator. To finish it off keep about a cup of maple syrup on hand during the smoking. Start brushing chicken about an hour into smoking and every hour after that for great results. 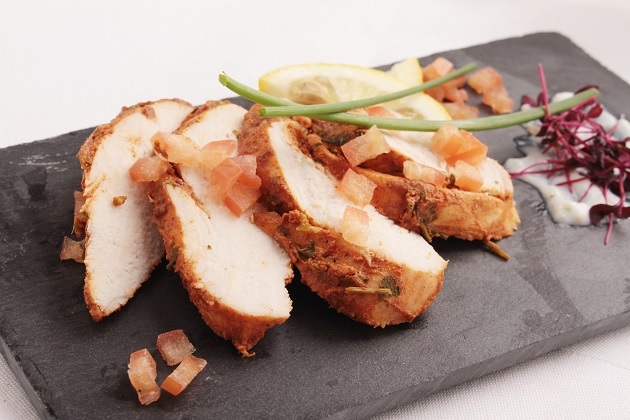 Smoking is a great way to prepare skinless chicken breast without compromising on flavor. It also provides capacity for a lot of meat when you have a large group to feed. If there are leftovers, the smoked chicken breast can easily be stored in heavy duty freezer bags or preferably vacuum sealed bags and frozen while maintaining taste. It definitely takes some time and monitoring to smoke chicken but it leaves you with very savory results. Smoking gives chicken breasts beautiful, rich color on the outside and impeccable flavors that no other cooking method can provide. With plenty of great smoking vessel choices, from the simplest kettle grill to powerful electric smokers, it’s easy to get started and get smoking.